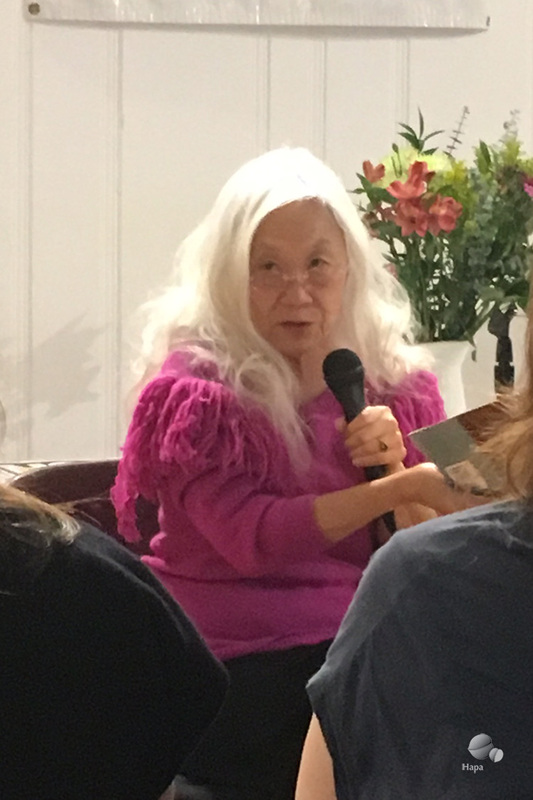 When I heard that author and columnist Vanessa Hua was hosting a discussion with Maxine Hong Kingston in honor of the 40th anniversary of The Woman Warrior, I had to go. 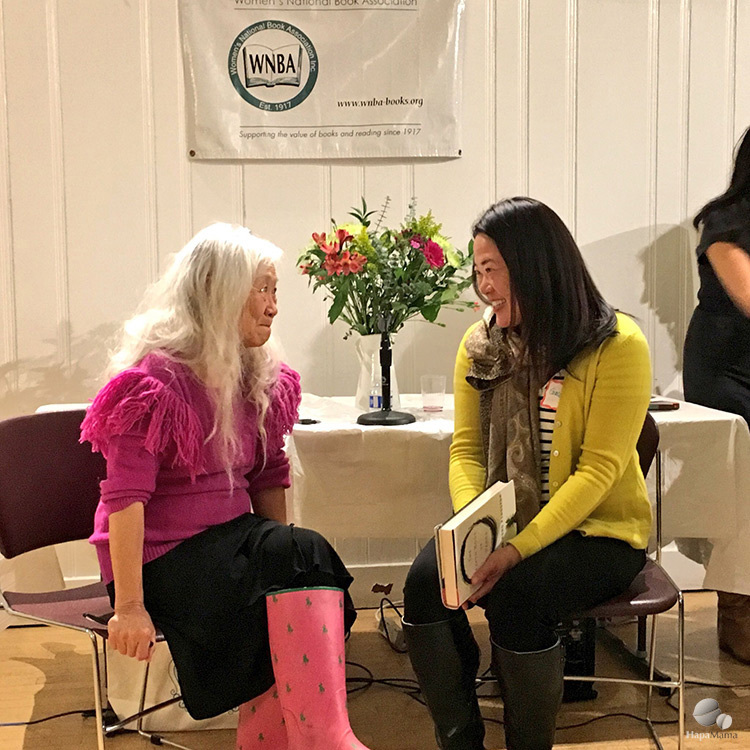 As I’ve mentioned before, I had the privilege of taking a creative writing workshop with Maxine Hong Kingston when I was an undergrad at Berkeley. Six years ago, I heard that she was speaking at Kepler’s bookstore in Menlo Park and rushed home from driving my kids to swim lessons so I could drive through rush hour traffic to hear her read from her book I Love a Broad Margin to My Life and to tell her how much that class meant to me and was inspiring me to get back into my personal writing after years of not really pursuing it. When I heard that author and columnist Vanessa Hua was hosting a discussion with Maxine in honor of the 40th anniversary of The Woman Warrior, I had to go. When I walked up to say hello to Maxine, she remembered me from her class — or at least from our bookstore meeting a few years ago. 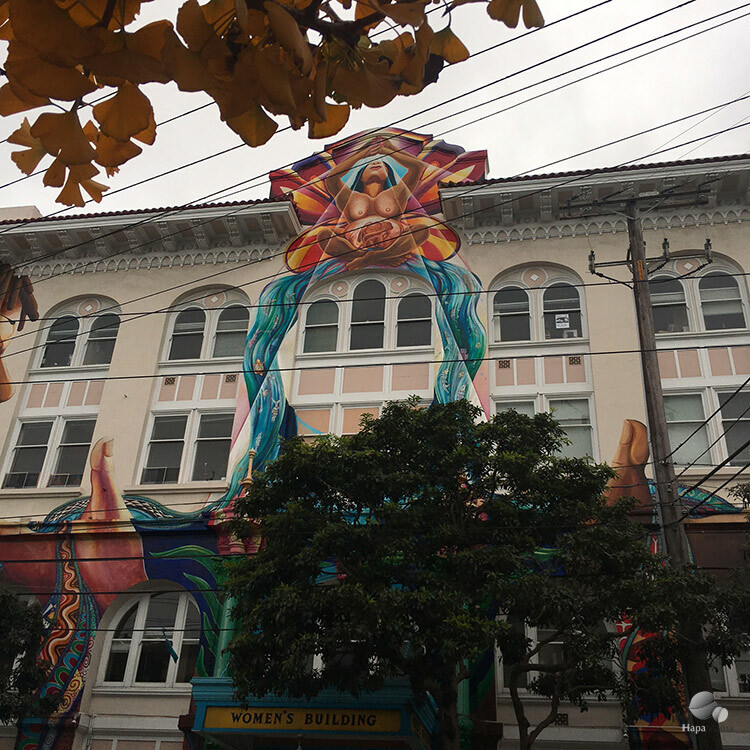 The event, organized by the San Francisco chapter of the Women’s National Book Association, was held at the amazing Women’s Building in the Mission District. Held in the Audre Lorde room, it was an intimate gathering of perhaps 75 readers and writers — mostly women, many Asian. Maxine read the ending passage from The Woman Warrior, remarking that she didn’t like the way she wrote it. In the years that had passed since its publication in 1976, she had learned and experienced things. One scholar told her that in reality, Fa Mu Lan committed suicide after being revealed as a woman and commanded to become one of the Emperor’s wives. Had she known that, Maxine may not have centered her first book around the woman warrior. In fact, back in the 1970s Maxine didn’t even think she could get The Woman Warrior published. Several times she mentioned a saying of the Chinese poets: “The true reader can come 1000 years from now.” Her spritely — almost mystical — ethos was accentuated by her clothing, a fuchsia sweater with feathery epaulets made of the same yarn and matching pink rain boots. She wasn’t even five feet tall back when I was in her class, and she may have shrunk a little since then, but she is living proof that you don’t have to be big in stature to possess tremendous power and magnetism. The concept of time seems very malleable to Maxine, as she suggested that our words and actions may be affected by one person’s actions 1000 years ago or that our current words could even reach back and change the course of history. I had a hard time wrapping my head around that and was mulling on it, when I had a flash of understanding. Our words can “change” history, as history is what we remember from the past and things and people and societies that are not remembered are not part of history. As Vanessa asked Maxine what she looks to for hope in this precarious political climate. Maxine buried her face in her hands so that only her mane of white hair was showing, and sort of LOL-cried. After a few moments, she took a deep breath and told us to “play the long game”, recalling how she protested the Iraq War in front of the White House. The questions from the audience moved on to who has the right tell certain stories (You do, was her emphatic response.) and how myths change as immigrants bring them to America, I began to have a moment of clarity. Yes, our stories can reach back 1000 years and change the course of history! By giving voice, even an imagined ones, to the people, traditions and cultures which have been silenced and forgotten, we are in a way, changing history. Maxine plays the long game. Back in the early 1970s, she didn’t think she could publish her memoir. Now, The Woman Warrior (along with China Men and her other books) is common required reading in colleges and even high schools. Twenty years have passed since I sat in that tiny, fourth-floor classroom in Wheeler Hall listening to Maxine muse about writing. In my darker moments, I feel that too much time has passed. Sure, I can squeeze out a disjointed body of work with an essay here and a blog post here, and some articles scattered around. But that if I haven’t gotten my act together by now, will I ever publish my books? In that room, for a moment, I caught a glimpse of what it takes to be a woman warrior. Twenty years ago, I was as a college student who signed up for a creative writing class on a whim and then shelved those aspirations after the semester ended. Six years ago, I was a stay-at-home mom with a small blog and dreams of getting back into the writing and career world. Because I am horribly awkward networker, I forgot to tell Maxine how much I’ve grown as a writer since our meeting at Kepler’s in 2011. In the six years that passed, I became an online editor, freelance writer, and am slowly — but more seriously than ever — chugging towards becoming an author. 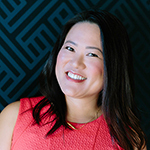 At various times as I’ve struggled how to write about current events, Asian American issues and feminism, I’ve thought about her brave writing. She wrote her truth, regardless of family or public criticism. And she empowered the aspiring writers in the room to write their truths, regardless of the people who will say that they shouldn’t write about those topics. I can play the long game, too. Note: I had a hard time deciding whether to use first or last names here. “Kingston” felt a little too removed and formal, but “Maxine” feels a little overly buddy-buddy. I decided to err on the personal side and call everybody by their first names, because that’s what we’re here for, to write about our personal stories.